With the Winterval festival in full swing, the Christmas Craft Fair at the Garter Lane Arts Centre is well underway offering a unique insight into the talented hand-crafted giftware available covering a wide and varied collection of creative disciplines. The selection of craft products available is eclectic, diverse and unique to the Craft Fair and all of an internationally recognised standard. Open every day from 10 am to 5.30 pm Monday to Saturday and 12 noon to 5.30 pm on Sunday’s, there is ample time for customers to browse, shop and revisit at their leisure in a warm, inviting and relaxing venue. One of the long-standing exhibitors at this year’s Christmas event is Greg Ashe with his beautiful range of ceramic and pottery creations. 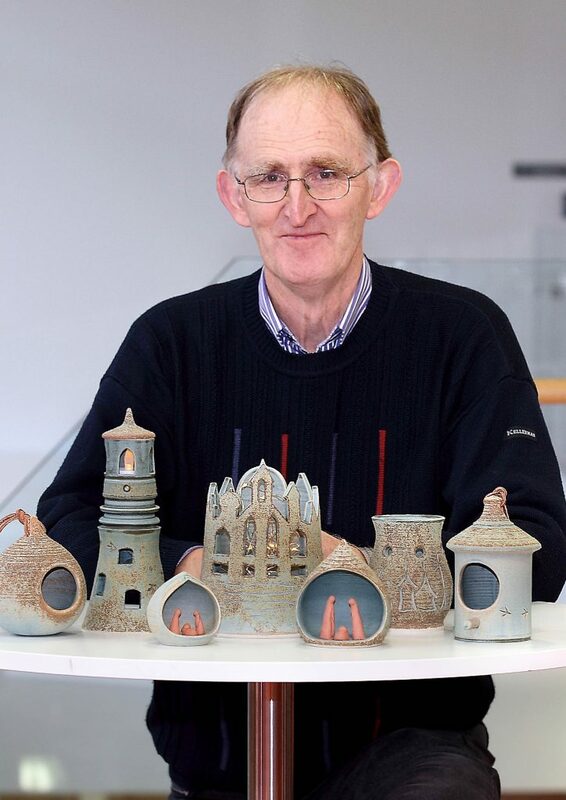 Originally from Clare but living in Dungarvan, Greg is a retired teacher and now concentrates on manufacturing pottery and ceramic products including oil burners, vases, candle holders, clocks, bowls, flower pots and utensil holders to name but a few. Pottery making is a time-consuming process and requires patience and commitment. Everything must be fired twice and bone dry before going in to the kiln, a process which Greg discovered and perfected through a combination of hard work, trial and error. This year, especially for the Christmas Craft fair, Greg has made exquisite tiny little cribs. 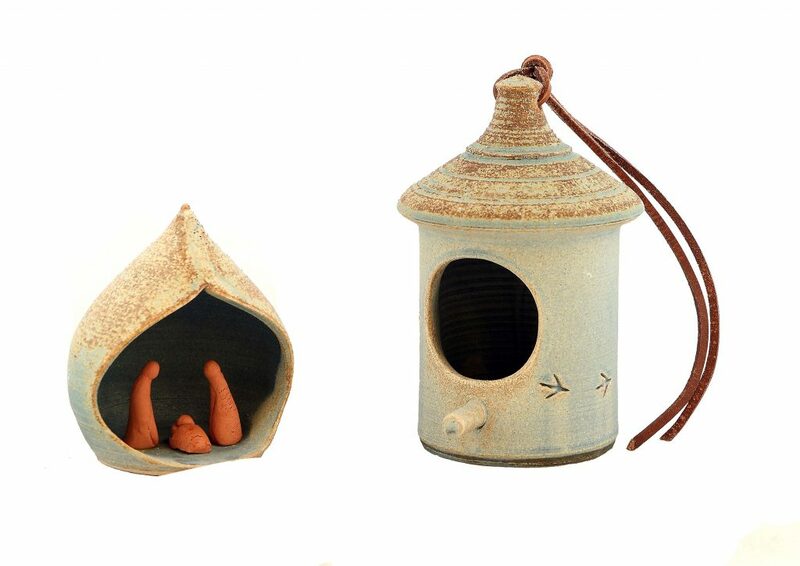 These are stoneware products which are durable and have an earthy effect and are a beautiful addition to any Christmas display, capturing the gentleness, tranquillity and true meaning of Christmas. Greg’s products are fired by passion and flair and are unique, individual and a popular seller at the craft fair. His products are also available in Blasta, a health food shop in his local Dungarvan. 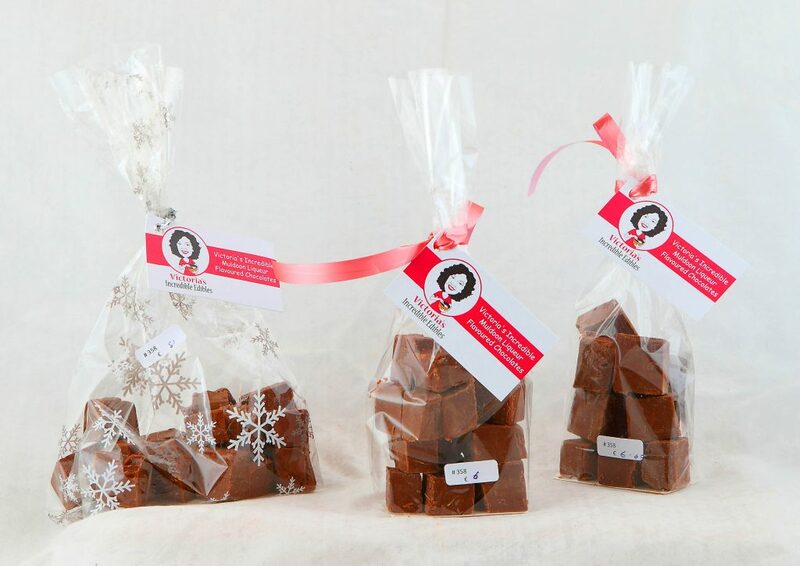 A newcomer to this year’s Christmas Craft Fair is Victoria Wilmott with her delicious new business Victoria’s Incredible Edibles featuring exquisite handmade chocolates. 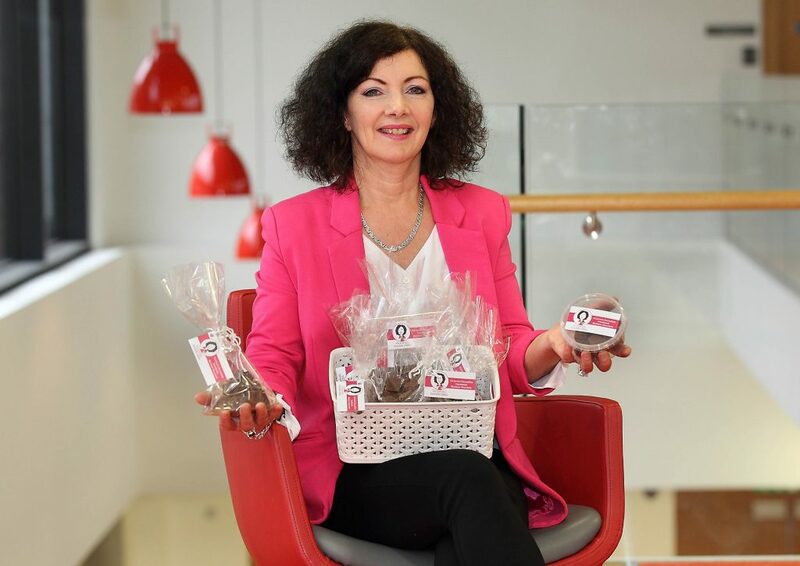 Victoria cleverly identified that eating is one of life’s greatest pleasures and eating chocolate in particular is a true joy and something that makes life worthwhile. Even better is the consumption of locally sourced, handmade chocolate shared with loved ones or enjoyed in the peace of your own company. Victoria’s chocolates are not mass produced and use only locally sourced ingredients where possible. Everything is made with care and attention in small batches by Victoria herself with the focus on taste and quality. One of her best-selling flavours includes Muldoon Whiskey Liquor which is made in Waterford by Anchor Spirits. The Muldoon adds a wonderfully luxurious toffee flavour to the chocolates which is a taste sensation to behold. The chocolates can be purchased in small bags which are ideal for a treat with a cuppa or alternatively they can be specially packaged to make beautiful and individual gifts guaranteed to put a smile on anyone’s face. So, whether it’s Mother’s Day, Father’s Day, Easter, birthday or Christmas, the goal of Victoria’s Incredible Edibles is to make unique and exquisite chocolates available for all chocolate lovers so that every day can be special. A full range of Greg Ashe’s ceramic creations and Victoria’s incredible Edibles are available for purchase from the Waterford Crafts Christmas Craft Fair in the Garter Lane Arts Centre, which is open every day up to the last day of Winterval, the 23rd of December. For up to date information, you can follow @WaterfordCrafts on Instagram, Facebook and Twitter.